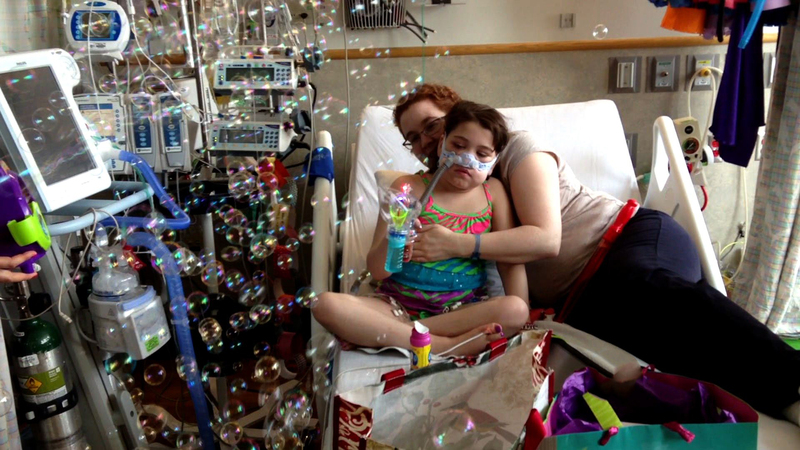 Two children with severe cases of cystic fibrosis have been added to adult lung transplanting waiting lists, following lawsuits this week to change rules stating only kids 12 and older can receive adult lungs. While there is also a waiting list for pediatric lungs, they are harder to come by: Last year, there were more than 1,700 lungs available, and all but 20 came from donors over 11 years old. Following U.S. District Judge Michael Baylson's ruling on Wednesday in a lawsuit filed by the family of Sarah Murnaghan, a 10-year-old girl whose family said she only had weeks to live without a lung, she got added to the adult transplant waiting list by the Organ Procurement and Transplantation Network (OPTN). Then on Thursday,a mother of an 11-year-old Bronx boy being treated for cystic fibrosis at the Children's Hospital of Philadelphia, the same hospital where Sarah is being, successfully asked a federal judge to add him to the list by arguing that he too was facing death soon without a donated organ. Baylson also granted a temporary restraining order barring the government from enforcing the under-12 age limits for the boy, Javier Acosta. "Javier's older brother, Jovan, also had cystic fibrosis," Stephen Harvey, an attorney with Pepper Hamilton LLP who represents Acosta's mother, Milagros Martinez, said in a statement, Bloomberg reported. "Jovan died on Aug. 15, 2009 while waiting for a liver and lung transplant. He was 11 years old, the same age as Javier is now." While the news is obviously a positive step for the families desperate to get their children life-saving lungs, some experts who have weighed in on the cases worry for the precedent that's being set. "The problem is, we can't build a system around making exceptions for everybody that isn't getting the transplant when they need it," Dr. John Roberts, who heads the OPTN board, told the Associated Press Thursday. Dr. Margaret Moon, an assistant professor of pediatrics at Johns Hopkins Children's Center in Baltimore, sees first-hand the toll having an ill child takes on a family. A mother of two, she also thinks she would fight just as hard as these parents. The "parents are doing exactly what parents are supposed to do," she said to CBSNews.com. However, she said organ transplant officials have a very different job, to promote the best possible allocation of this precious resource, an organ. They are constantly reviewing those rules as new data comes out, she said. "It would be very difficult that this system has to respond for individual pleas for help," Moon said. "Every story is compelling. It's always tragic when someone doesn't get an organ -- that can't be a reason to change that approach," she said. Moon, who is also a bioethicist at Hopkins' Berman Institute for Bioethics, told CBSNews.com that all lung transplant patients should be treated equally unless there's a medically-relevant difference in cases, and in this case there might be. As it stands, there's a 50 percent chance a lung transplant will fail in five years for anyone, she said. Someone with cystic fibrosis, who may also have other health problems like chronic infections, may have an even worse prognosis, she said. Pediatric lung transplants have only been performed in recent decades, Moon added, while adult lung transplants have been more well-studied. Therefore, she argues if there's more medical certainty that the lung has a better chance of succeeding in the adult, the decision should be based on that, she said -- and not on how effective parents are at getting publicity. "That's dangerous," she said. "The notion we're wasting an organ for political or personal reasons, it's really distressing," Moon added. "The best place to make medical decisions is not in a courtroom, it's not in Congress, it's not on television," Dr. Art Caplan, head of the division of medical ethics at New York University Langone Medical Center in New York City, told USA Today. "It's with doctors and people with expertise in transplants making the decision based on how well the transplant will work and who is likely to live. Those aren't facts that judges, senators or bureaucrats have." A transplant doesn't mean an automatic cure either, Moon pointed out. Much medical care will still be required, and doctors have to ensure they're promoting the best possible outcomes for the patient and the family. Currently, more than 40 percent of patients who need a lung have been waiting more than a year, CBS News medical correspondent Dr. Jon LaPook reported Thursday. Lung transplant surgeon Dr. Joshua Sonett of New York Presbyterian Columbia, who has studied the shortage, told the CBS Evening News that he supports adding children to the adult waiting list. "The children should be able to receive adult lungs on a non-biased scale," he said. "In other words, if they're sicker than an adult, they should get a lung." One expert, Johns Hopkins University transplant surgeon Dr. Dorry Segev, summed up the crux of the debate to the Associated Press. "Every choice that is made in transplantation in favor of one patient means the likely death on the list for another patient," he said.